A kayaker enjoys the Susquehanna River near Harrisburg. There's a lot more to learn about the Chesapeake Bay and its rivers and streams. These web sites and materials will inspire you to get to know the watershed better. There are dozens of ways to explore the Chesapeake Bay and its rivers. From mobile apps to websites to maps, here's our selection of resources to help you explore the Bay and its tributaries, paddle historic water trails, plan an excursion through history across the watershed, and even find healthy beaches. The National Park Service's Chesapeake Explorer mobile app helps users find and visit attractions across the Bay watershed, including parks, trails, camp grounds, museums, and historic sites. The ever-expanding app includes up-to-date visitor information, such as hours, locations, and fees. The app is available for iPhone and Android. Find out more at chesapeakeexplorerapp.com. In 2012, 18 new public access sites opened up across the region. The Chesapeake Bay Program's online Public Access Guide provides information on over 500 major public access sites in the Bay region. Users can find sites offering opportunities for boating, fishing, wildlife observation, and beach use. Search for public access point by address, city, or zip code. Check it out at chesapeakebay.net/takeaction/publicaccess. Four hundred years ago Englishman John Smith set off with a small crew in an open boat to explore the Chesapeake Bay. Between 1607 and 1609 Smith mapped and documented nearly 3,000 of the Bay and its rivers. 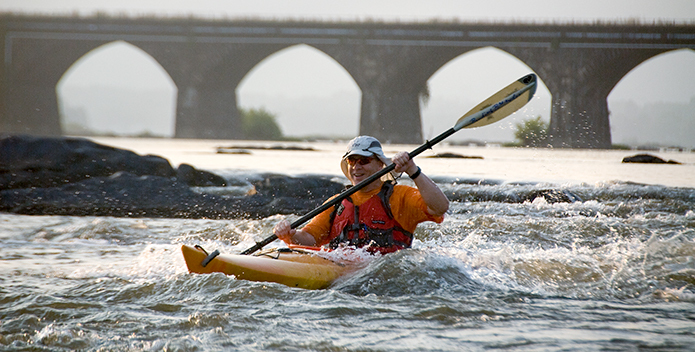 The trail, which follows his travels, was officially launched on May 12, 2007 and was the first national historic watertrail established by Congress. Visit the National Park Service's trail website at smithtrail.net for information, resources, and maps. This network of observation buoys mark points along the Captain John Smith Chesapeake National Historic Trail. Just pull out your cell phone and check real-time weather and environmental information like wind speed, temperature, and wave height at any buoy location. These "smart buoys" can also tell you something about John Smith's adventures during his 1608 voyage. Enjoy exploring the Bay with the help of the Chesapeake Bay Interpretive Buoy System (CBIBS) at buoybay.noaa.gov, by phone at 877-BUOY-BAY (toll-free), or via smartphone apps for Android and iPhone. America's second national historic watertrail, the Star-Spangled Banner trail tells the story of the Chesapeake Bay region's involvement in the War of 1812 and tells the stories of the events, people, and places that led to the birth of our National Anthem. Find out more at nps.gov/stsp/. Find more water trails and paddling opportunities throughout the Chesapeake Bay region—from New York to Virginia—at chesapeakeconservancy.org/conserve/what-do-we-do-protecting-special-places/advocacy/chesapeake-gateways/. 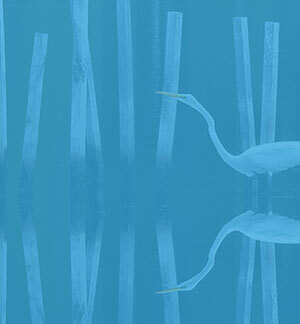 Your guide to exploring the Chesapeake Bay and its rivers, from water trails to waterfowl. Learn about more than 160 parks, wildlife refuges, museums, sailing ships, historic communities, trails, and more. This is a great place to start planning your excursion. Visit the website at findyourchesapeake.com/. The Chesapeake Conservancy worked with the National Geographic Society, with support from the U.S. Fish and Wildlife Service, to create this app (currently available via iTunes, Android version to come) incorporating the popular Project Noah wildlife photo-sharing service. Using the app, visitors to national wildlife refuges in the Chesapeake region can take photos and share them with a worldwide community of wildlife enthusiasts and experts. The app also includes information on refuge locations, maps, hours, and more. Get updates, advisories, and closing information on every beach in Maryland, using the free Google™ Earth application. Go to marylandhealthybeaches.org/current_conditions.php for easy instructions, and to download the current update file and Google Earth application. Identify at a glance which beaches are clean for swimming and which have water quality problems, help protect your waterway by reporting pollution or environmental concerns, and more. Check it out online or get the app (available for Apple and Android). The following is a list of useful Chesapeake Bay and/or conservation related web sites. Your suggestions are welcome. Please e-mail them to chesapeake@cbf.org. Thanks! How's My Waterway? The EPA has designed an interactive database of water quality monitoring reports for students to investigate elements like bacteria, dissolved oxygen, and others.